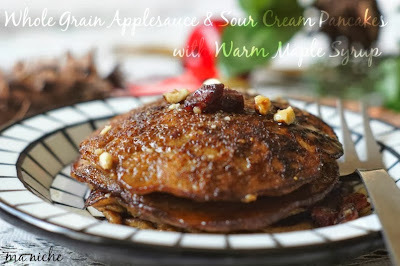 ... my Whole Grain Applesauce and Sour Cream Pancakes with Warm Maple Syrup. Hubby likes them, I like them and now even the toddler likes them. 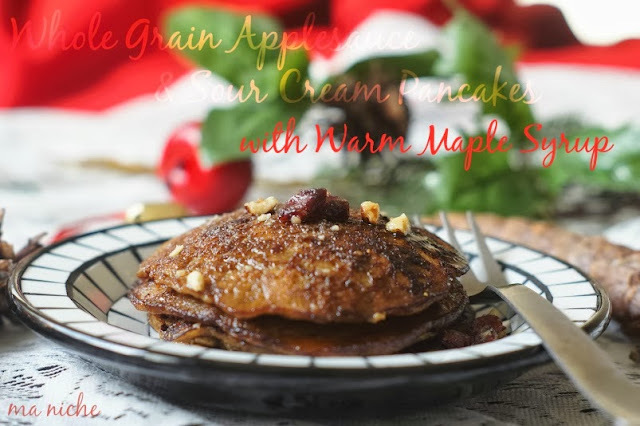 They are soft and fluffy and taste wonderful with that warm maple syrup. 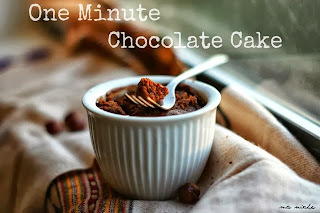 I make them every other week and I always feel satisfied when I serve these for breakfast.. Firstly because the toddler has it without any fuss and secondly they are so nutritious. 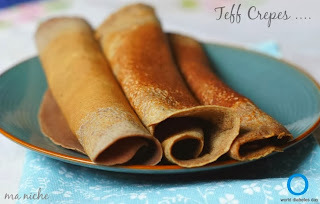 Besides the applesauce and (fatfree) sour cream, these are filled with the goodness of teff. As I have mentioned earlier, teff is a nutrition packed flour with higher protein content than wheat. It has twice as much iron as wheat and barley and a high concentration of a variety of nutrients including calcium and thiamin. Also, because of its high fiber content, is believed to help in dealing with diabetes and assisting with blood sugar control. Whisk the egg, applesauce, sour cream and vanilla extract in a medium sized bowl. Add the sugar to it and whisk till it is well combined. 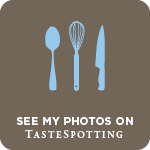 Sift the flours, salt and baking soda into the bowl containing the whisked egg-applesauce-sour cream mixture and using a wooden spoon stir the flour mixture in until just combined (do not over mix). Let the batter rest for a couple of minutes before proceeding to prepare the pancakes. Heat a griddle over medium heat and melt some butter in the pan. Drop batter by 2 tablespoons per pancake into the griddle and cook on the first side till bubble begin to appear on the surface and the edges begin to brown. Flip with a spatula and cook on the other side for another minute. Serve with softened butter and warm maple syrup. For the warm maple syrup, mix the maple syrup and ginger powder in a saucepan and bring the solution to a boil. Switching off the heat pour the warm syrup over the stack of freshly prepared pancakes. Garnish with nuts and dried cranberries to accentuate the holiday mood ! 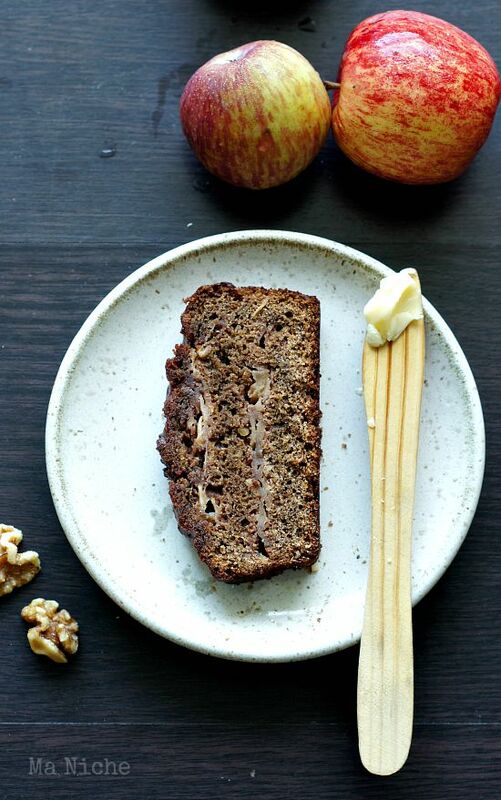 You may like these teff recipes too ! Using applesauce instead of oil is such a healthy choice which we are looking for. Thanks for sharing this delicious recipe. 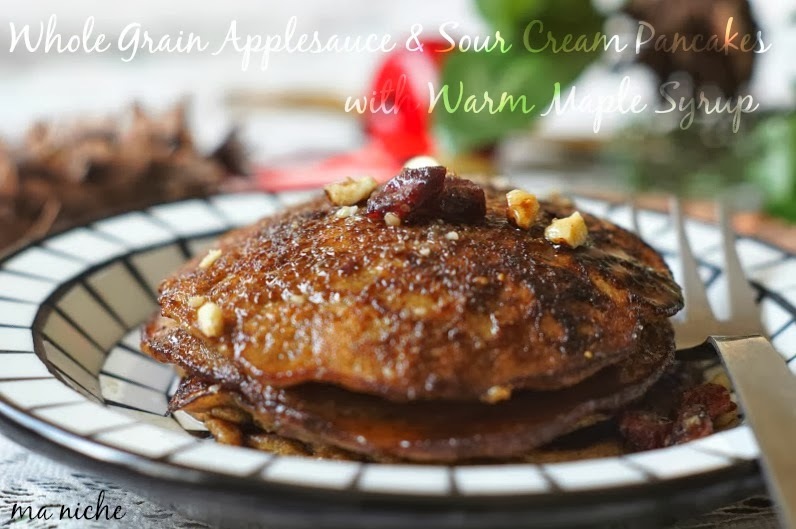 I love the use of applesauce and yogurt to keep the pancakes moist and these sound delicious. What a wonderful way to wake up in the morning with a stack of these pancakes!